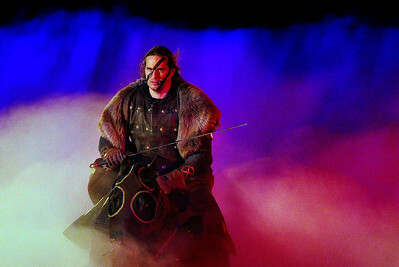 Matthew Apgar - mapgar@shawmedia.com Robert Idrizi of Crystal Lake performs as a herald on Monday, Jan. 18, 2016 at Medieval Times in Schaumburg. 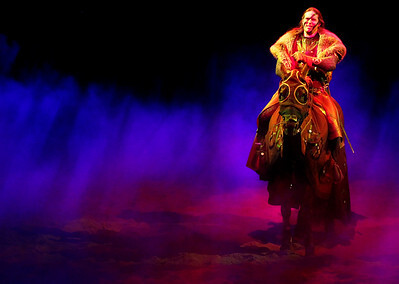 Idrizi auditioned as an entry-level squire thirteen years ago and has since "discovered a dream [he] never knew [he] had," in becoming a horse-riding, jousting knight engaging in gladiatorial combat approximately 15 times per week in an arena packed full of screaming fans. 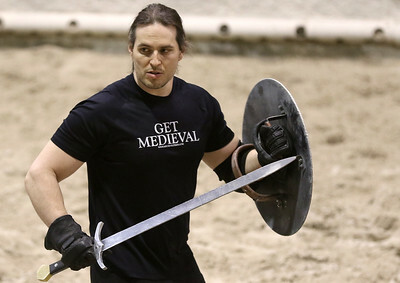 Matthew Apgar - mapgar@shawmedia.com Robert Idrizi of Crystal Lake practices with coworkers on Monday, Jan. 18, 2016 at Medieval Times in Schaumburg. 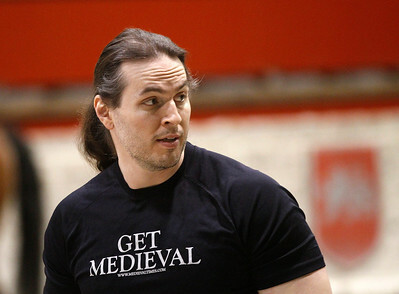 Idrizi auditioned as an entry-level squire thirteen years ago and has since "discovered a dream [he] never knew [he] had," in becoming a horse-riding, jousting knight engaging in gladiatorial combat approximately 15 times per week in an arena packed full of screaming fans. Matthew Apgar - mapgar@shawmedia.com Robert Idrizi of Crystal Lake heads downstairs after getting dressed as a herald on Monday, Jan. 18, 2016 at Medieval Times in Schaumburg. Idrizi auditioned as an entry-level squire thirteen years ago and has since "discovered a dream [he] never knew [he] had," in becoming a horse-riding, jousting knight engaging in gladiatorial combat approximately 15 times per week in an arena packed full of screaming fans. 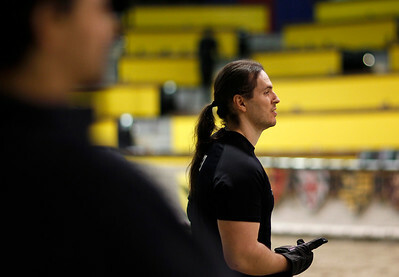 Matthew Apgar - mapgar@shawmedia.com Robert Idrizi of Crystal Lake keeps track of practice on Monday, Jan. 18, 2016 at Medieval Times in Schaumburg. 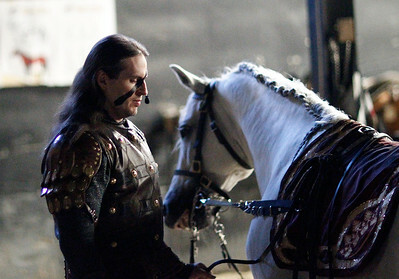 Idrizi auditioned as an entry-level squire thirteen years ago and has since "discovered a dream [he] never knew [he] had," in becoming a horse-riding, jousting knight engaging in gladiatorial combat approximately 15 times per week in an arena packed full of screaming fans. 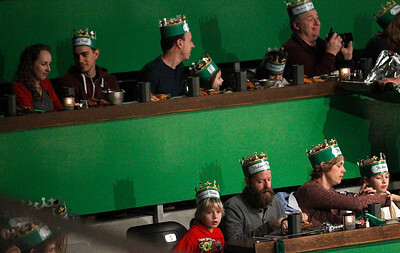 Matthew Apgar - mapgar@shawmedia.com Audience members watch the show on Monday, Jan. 18, 2016 at Medieval Times in Schaumburg. 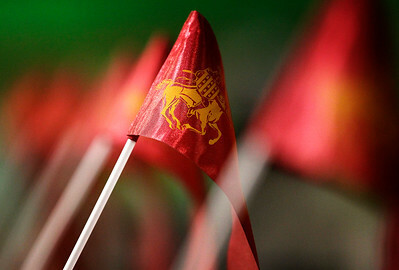 Matthew Apgar - mapgar@shawmedia.com Flags decorate the tables on Monday, Jan. 18, 2016 at Medieval Times in Schaumburg. 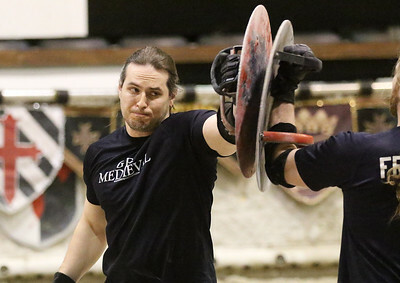 Matthew Apgar - mapgar@shawmedia.com Robert Idrizi of Crystal Lake instructs during practice on Monday, Jan. 18, 2016 at Medieval Times in Schaumburg. 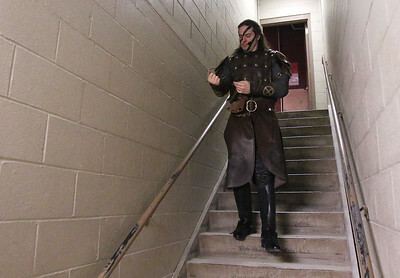 Idrizi auditioned as an entry-level squire thirteen years ago and has since "discovered a dream [he] never knew [he] had," in becoming a horse-riding, jousting knight engaging in gladiatorial combat approximately 15 times per week in an arena packed full of screaming fans. 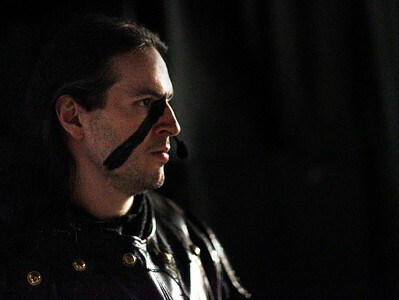 Matthew Apgar - mapgar@shawmedia.com Robert Idrizi of Crystal Lake keeps tabs on performers on Monday, Jan. 18, 2016 at Medieval Times in Schaumburg. 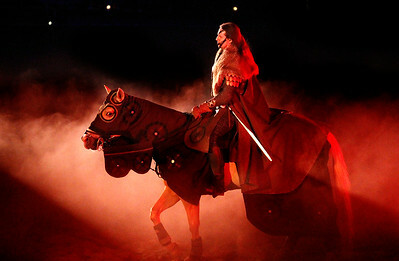 Idrizi auditioned as an entry-level squire thirteen years ago and has since "discovered a dream [he] never knew [he] had," in becoming a horse-riding, jousting knight engaging in gladiatorial combat approximately 15 times per week in an arena packed full of screaming fans. 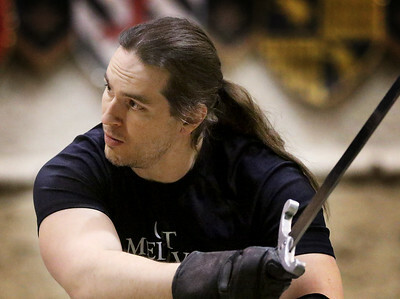 Matthew Apgar - mapgar@shawmedia.com Robert Idrizi of Crystal Lake instructs performers on swordsmanship on Monday, Jan. 18, 2016 at Medieval Times in Schaumburg. 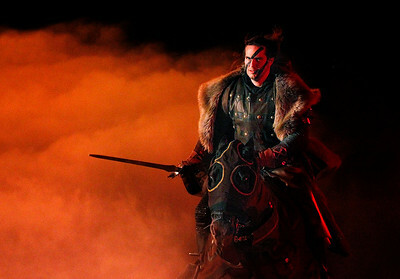 Idrizi auditioned as an entry-level squire thirteen years ago and has since "discovered a dream [he] never knew [he] had," in becoming a horse-riding, jousting knight engaging in gladiatorial combat approximately 15 times per week in an arena packed full of screaming fans. 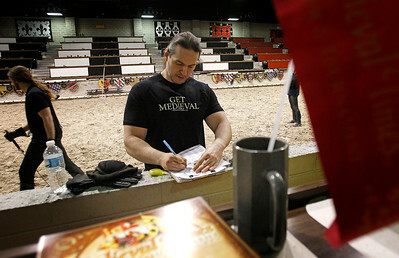 Matthew Apgar - mapgar@shawmedia.com Robert Idrizi of Crystal Lake checks the status of horses on Monday, Jan. 18, 2016 at Medieval Times in Schaumburg. 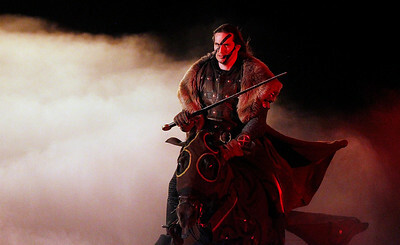 Idrizi auditioned as an entry-level squire thirteen years ago and has since "discovered a dream [he] never knew [he] had," in becoming a horse-riding, jousting knight engaging in gladiatorial combat approximately 15 times per week in an arena packed full of screaming fans. 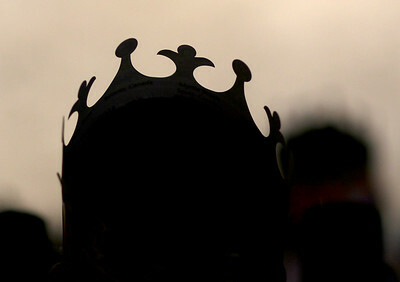 Matthew Apgar - mapgar@shawmedia.com An audience member's crown is silhouetted on Monday, Jan. 18, 2016 at Medieval Times in Schaumburg. 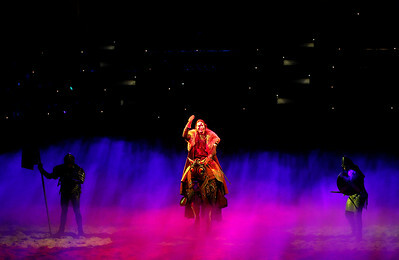 Matthew Apgar - mapgar@shawmedia.com Robert Idrizi of Crystal Lake, center, instructs during practice on Monday, Jan. 18, 2016 at Medieval Times in Schaumburg. 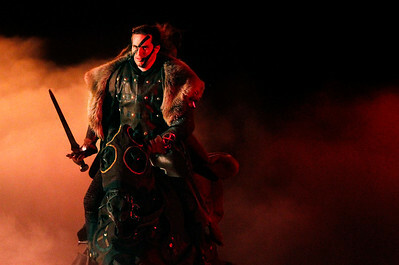 Idrizi auditioned as an entry-level squire thirteen years ago and has since "discovered a dream [he] never knew [he] had," in becoming a horse-riding, jousting knight engaging in gladiatorial combat approximately 15 times per week in an arena packed full of screaming fans. 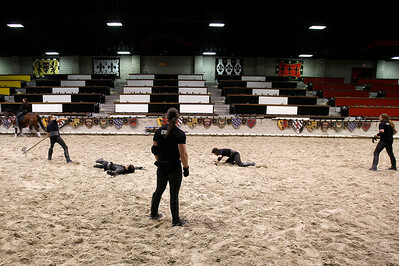 Matthew Apgar - mapgar@shawmedia.com Robert Idrizi of Crystal Lake goes over the battle routine on Monday, Jan. 18, 2016 at Medieval Times in Schaumburg. 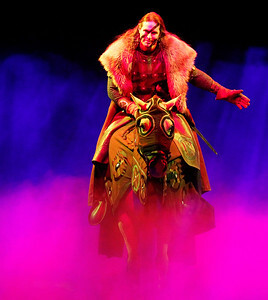 Idrizi auditioned as an entry-level squire thirteen years ago and has since "discovered a dream [he] never knew [he] had," in becoming a horse-riding, jousting knight engaging in gladiatorial combat approximately 15 times per week in an arena packed full of screaming fans. 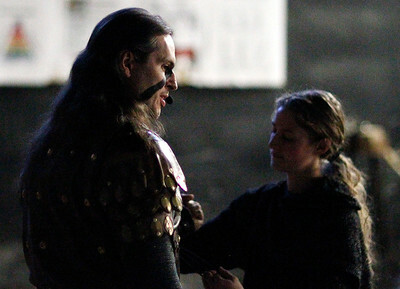 Matthew Apgar - mapgar@shawmedia.com Robert Idrizi of Crystal Lake makes sure the performance is ready on Monday, Jan. 18, 2016 at Medieval Times in Schaumburg. 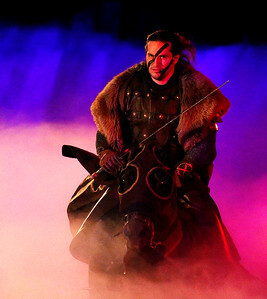 Idrizi auditioned as an entry-level squire thirteen years ago and has since "discovered a dream [he] never knew [he] had," in becoming a horse-riding, jousting knight engaging in gladiatorial combat approximately 15 times per week in an arena packed full of screaming fans. 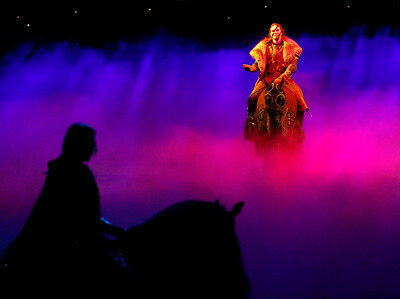 Robert Idrizi of Crystal Lake keeps tabs on performers on Monday, Jan. 18, 2016 at Medieval Times in Schaumburg. 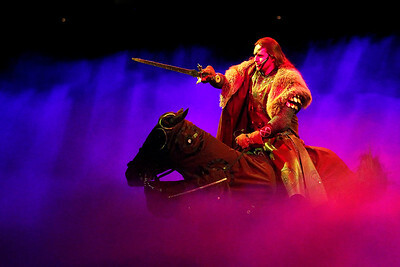 Idrizi auditioned as an entry-level squire thirteen years ago and has since "discovered a dream [he] never knew [he] had," in becoming a horse-riding, jousting knight engaging in gladiatorial combat approximately 15 times per week in an arena packed full of screaming fans.